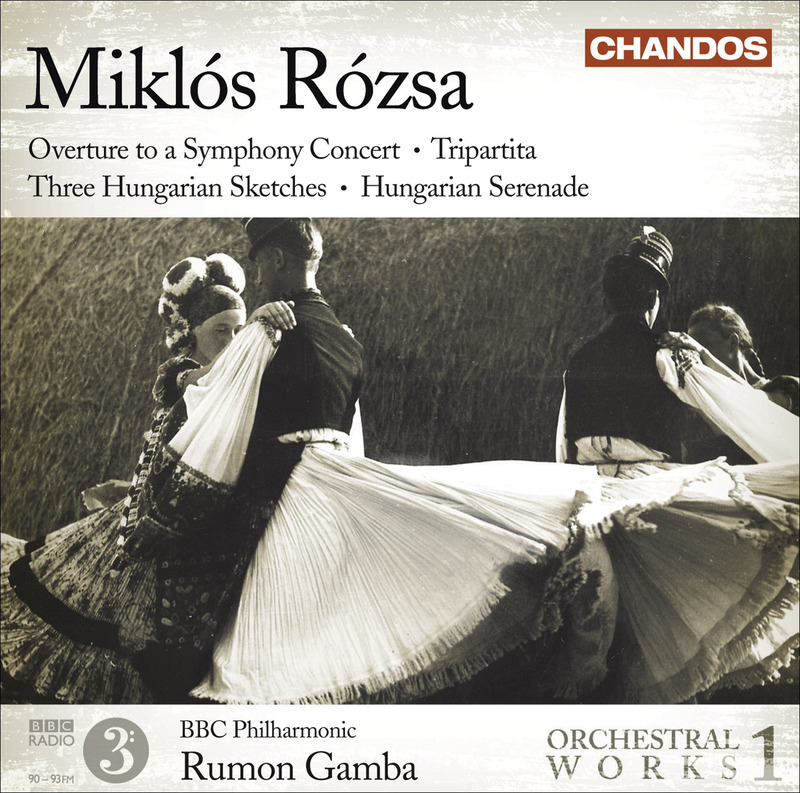 Rumon Gamba and the BBC Philharmonic here embark on a new orchestral series with music by Miklós Rózsa. Rózsa is one of the giants of the film world, with scores for Ben Hur, Quo Vadis and El Cid to name but a few. Gamba continues, ‘I expect fans of early twentieth-century classical music in general and of the big Hollywood scores alike will find this music arresting and intensely beautiful’. Despite his many Hollywood film commitments, the composer always made time to write the music that was most important to him, that for the concert hall. Once settled in Hollywood, Rózsa was able to negotiate a beneficial contract which allowed him to spend the summer months writing his serious music at his Italian retreat, and the winter months in Hollywood composing music for films. The four works recorded on this first volume offer a strong impression of his concert style, one which the leading conductors of the day held in high regard. The ebullient Three Hungarian Sketches was the official Hungarian entry at the International Music Festival in Baden-Baden in 1938. The large late Tripartitia, composed in 1971, has an earthy quality but exudes also in places an evocative nocturnal mood. It is complemented by two works in a lighter vein, the Overture to a Symphony Concert and the Hungarian Serenade. Rózsa developed a unique musical voice highly influenced by his Hungarian roots, and his works often dazzle with virtuosity. The BBC Philharmonic pull out all the stops to play these works with the precision and passion they require. This is the launch of a very special project for Chandos.